Time is running out for this season if you haven’t booked your accommodation yet, places are getting booked up faster than ever before. 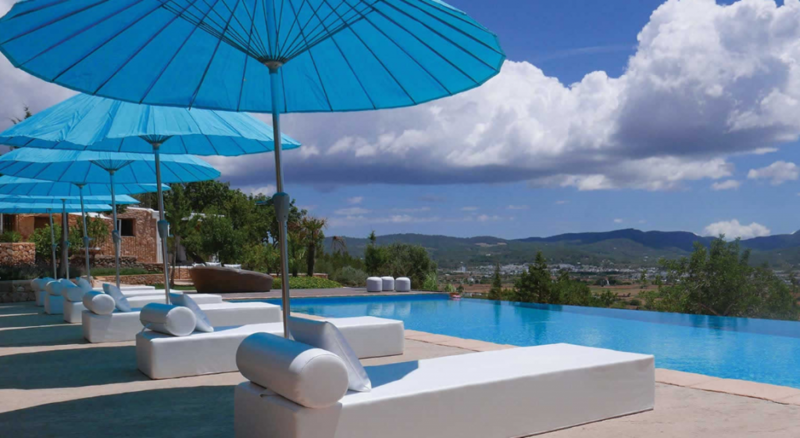 We have done a quick post on some of the apartments still available to rent in San Antonio, Ibiza. We will update the post is other quality apartments become free. All these apartment are have very good reviews and are reasonably priced. Super luxuary apartment to rent this summer, 2 bedrooms and sleeps 5 people so you can easily split the cost. 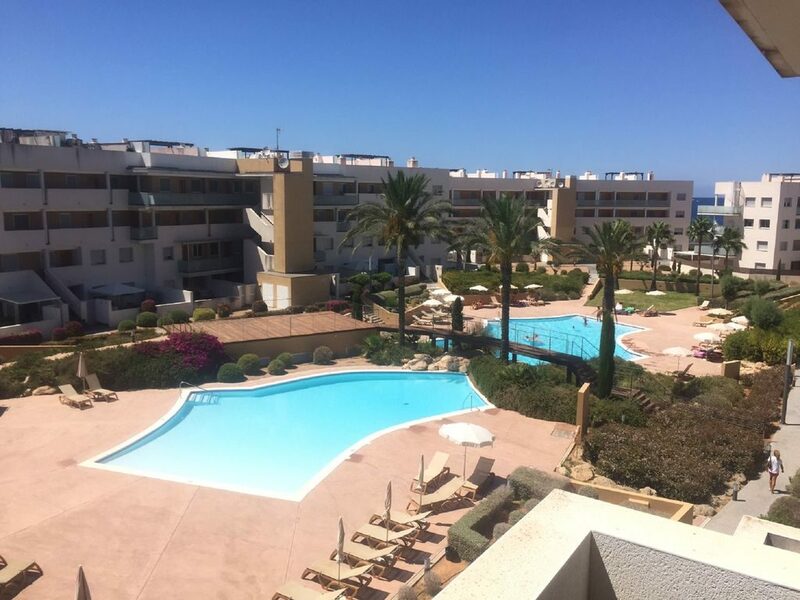 3 bed apartment near Cafe Mambo. 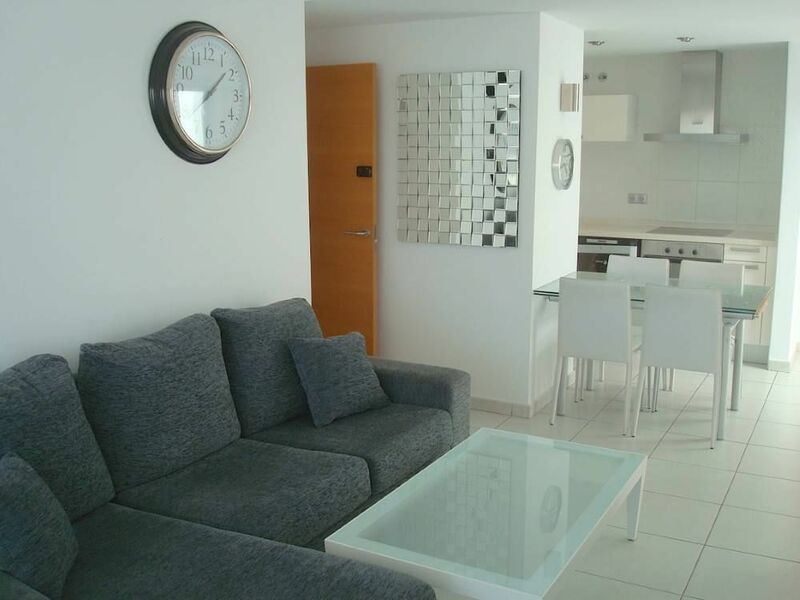 This apartment sleeps 8 people and is perfect for a group of people organizing a clubbing holiday. This apartment is a bit further out from San Antonio centre, just in the next bay, but still part of San An. The apartment has 2 bedrooms and can sleep 6 people with a sofa bed in the lounge. The apartment also has access to the pool pictured above. If you are looking for an Aparthotel in San antiono Ibiza, we recommend Hotel apartmentos. If you are in a group it can sometimes be cheaper to book a villa in San Antonio. Here’s are couple of cheap (ish) villas that are currently available this season – note, you need to look at the price per person. Amazing 6 bedroom villa with a pool. The villa is situated around 2kn outside of San An so its nice and quiet. If you are look for more villa options, read our guide to the best villas to rent in San Antonio. Many of the apartments above will accept a long term rental for people looking to live and work in Ibiza throughout the season. We recommend getting a group of workers together, find your perfect apartment, then negotiate with the owners. Many will accept a heavily discounted price to off set any void periods they might get on their holiday rentals. Why rent an apartment in San Antonio? The west-central coast of Ibiza is where you’ll find the resort town of San Antonio. As the island’s second-largest municipal area, San Antonio is a town with several unique neighbourhoods where the party scene is especially strong. If you are planning your first trip to San Antonio, think the West End and Sunset Strip as your clubbing destinations. San Antonio has quite a reputation as Ibiza’s party capital. However, government and local officials have worked hard over the years to develop the city’s family appeal as well. It is not unusual for locals from all over the island to descend on the resort town on weekends to enjoy its fine selection of restaurants and family-related activities. • Eden Ibiza – This impressive super club has hosted a long list of big acts since the 1990s. It has an impressive VOID sound system and a large, open dance floor surrounded by an equally spacious balcony. • Es Paradis – Competing directly with Eden Ibiza is Es Paradis, another super club directly across the way. This venue has been around since the 1970s. Es Paradis is famous for its water parties and the always exciting Glow Neon Paint Party. • Ocean Beach – There wasn’t much by way of outdoor clubbing prior to the opening of Ocean Beach in 2012. Now Ocean Beach is the club to go to if you want to party outdoors in the glorious sunshine as you anticipate an incredible sunset. Ocean Beach is well known for its decadent pool parties, live performances, fashion shows, acrobatics, and massages. 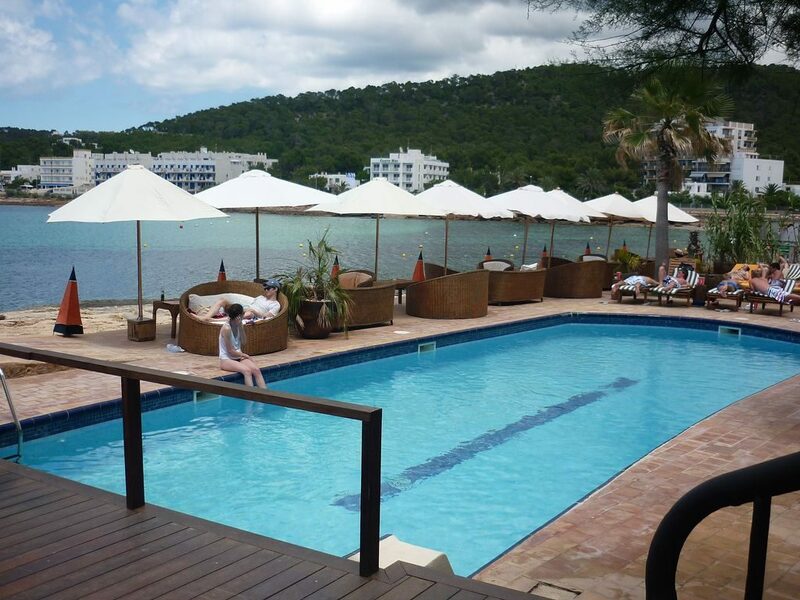 • Ibiza Rocks – The Ibiza Rocks Hotel offers a monster clubbing experience featuring a purpose-built stage that now hosts most of the major music events in San Antonio. Everything takes place in a central courtyard that includes the hotel’s main swimming pool. The events here focus heavily on electronic music along with live DJs and We Are Rock Stars parties. • Café del Mar – This is one of San Antonio’s oldest and most loved bars. They have been in business for more than 30 years and are considered the original Sunset Strip bar. • Café Mambo – If you are looking for great food to go along with your drinks, Café Mambo is one of the best. This Sunset Strip bar has won the ‘Best Bar in Ibiza’ award multiple times thanks to its great food and DJ music. • Savannah – The Sunset Strip has its share of low-key bars, including the very popular Savannah. You’ll find Savannah to be a peaceful, tranquil environment with plenty of cushioned seating and a beautiful wooden terrace offering unbeatable views of the sunset. The theming here is unapologetically Mediterranean. Other bar choices include Mint, Kanya, the Plastik Bar, Itaca, and Tulp. Each one offers its own vibe in a unique setting designed to cater to targeted clientele. If you are not sure where to go, the hotel staff can point you in the right direction. Dining in San Antonio is exceptional when compared to most of the other resort areas on the island. The city has gone to great lengths to invest in its dining scene in order to attract families and foodies along with the clubbers. One of the favourites in town is known as Rincon de Pepe. It is a local icon famous for its selection of tapas choices. This restaurant is a must-visit if you want to experience authentic Spanish cuisine unspoilt by other European influences. Tijuana Tex-Mex is a local favourite for Tex-Mex, barbeque, and Mexican beer. You might try the Bondi Restaurant for an interesting take on healthy cuisine featuring plenty of fresh, natural foods. The Bondi is quickly gaining a following in San Antonio. Additional dining choices include Rio Ibiza (steak and seafood), Villa Mercedes Restaurant (Mediterranean-fusion), Surf Lounge Ibiza Restaurant (Mediterranean and Asian), and Sa Capella (Spanish and international cuisine). There is no shortage of good places to eat in the West End and the Sunset Strip. But remember that San Antonio is the second largest town on the island. If you want to get away from the main tourist areas, there are plenty of smaller restaurants scattered across the town. They are where you’ll find local cuisine in an authentic local setting. Ibiza airport is located in San Juan, roughly a 30-minute drive from San Antonio. Your three options for getting to and from the location are taxi, bus, and car rental. Taxis are the most reliable and least expensive. Buses are a bit hit and miss, so plan to wait if you want to use bus transportation. Car rental is available both in town and directly at the airport. Given that San Antonio is considered a stepping stone to the clubbing scene on Ibiza, you may want to take an evening and head down to Playa d’en Bossa on the south-east coast. Your best bet is by taxi or bus so that you’re not trying to drive back to San Antonio under the influence. Keep in mind that bus service is sketchy all across the island. If you do want to rent a car, you can get to Playa d’en Bossa in about half-an-hour.